WASHINGTON — CVS Health’s Helena Foulkes has been tabbed as one of the keynote speakers at the National Retail Federation’s 2018 annual convention in Manhattan. 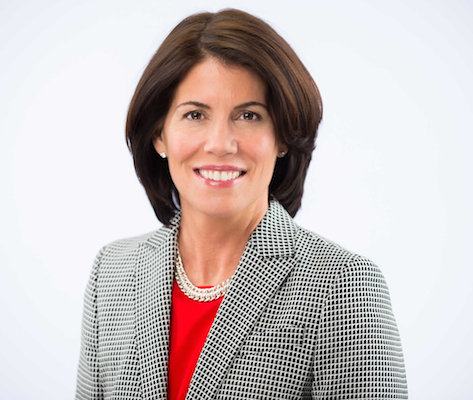 Foulkes, executive vice president of CVS Health and president of CVS Pharmacy, will address the theme “empowering customers to make everyday health care better” in her presentation, scheduled for Jan. 15 at 9:30 a.m. ET. NRF said Foulkes also shed some light on the “purpose-driven culture” at CVS that informed the company’s $69 billion deal earlier this month to acquire health insurer Aetna Inc.
On Jan. 14, the first day of “NRF 2018: Retail’s Big Show,” Walmart president and chief executive officer Doug McMillon is slated take the stage at 3 p.m. with NRF president and CEO Matthew Shay a session on the “changing face of retail,” a discussion on key strategies for retailers to survive in today’s dynamic environment. Plans call for Tommy Hilfiger, founder and principal designer at Tommy Hilfiger, to close out the conference in a session titled “The Power of Disruption” at 4:15 p.m. on Jan. 16. The world-renowned fashion icon will share how he has kept his brand at the forefront of the industry by embracing technology and driving innovation. NRF 2018: Retail’s Big Show is expected to draw more than 35,000 retailers from nearly 100 countries to New York City on Jan. 14 to 16. A key focus will be the latest trends, innovations and strategies for adapting in the digital age. Previously announced speakers include Martin Barthel, head of global retail and ecommerce strategy at Facebook; Arianna Huffington, founder of The Huffington Post and founder and CEO of Thrive Global; Marne Levine, chief operating officer at Instagram; and Hamdi Ulukaya, founder and CEO of Chobani. Foulkes and McMillon are two of the 25 people that the NRF Foundation named earlier in December to its “List of People Shaping Retail’s Future,” which honors the best and brightest people impacting the retail industry. NRF also has tabbed McMillon as “The Visionary,” an award for an inspiring leader with a long record of driving change in the industry. Foulkes will be recognized as one of the “Power Players” on the list. The honorees will be celebrated Jan. 14 at the NRF Foundation Gala during the 2018 NRF convention.